NOTE: All zip archives and saz files are password-protected with the standard password. If you don't know it, look at the "about" page of this website. 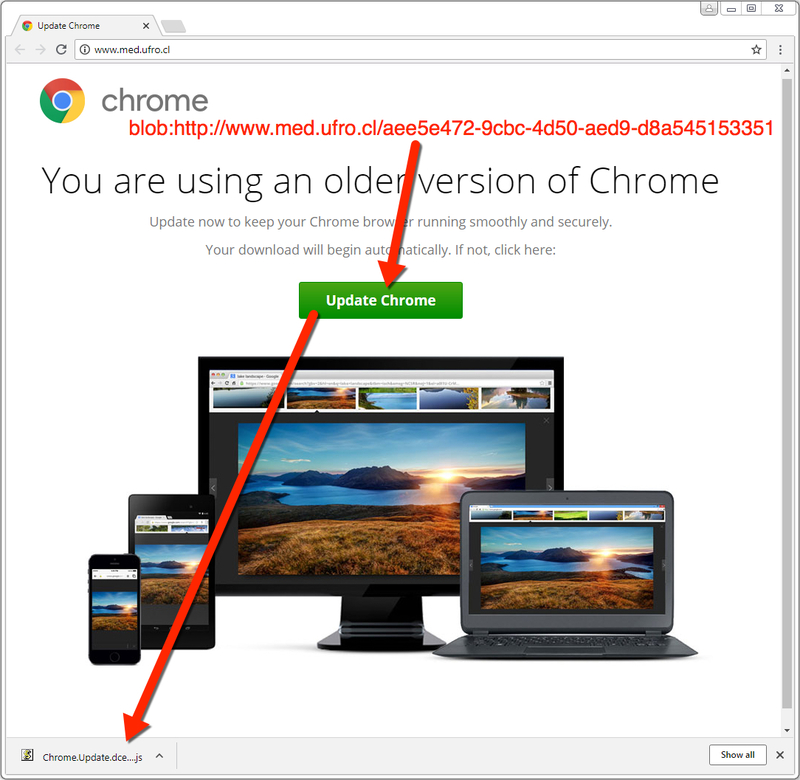 Shown above: Example of fake Chrome update page when using the Chrome web browser. 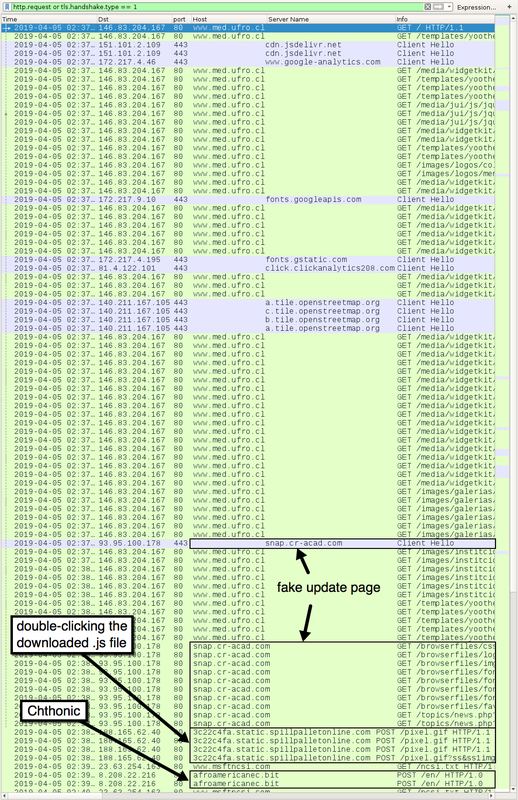 Shown above: Link from fake update page appears to retrieve info from original site that kicked off this infection chain. 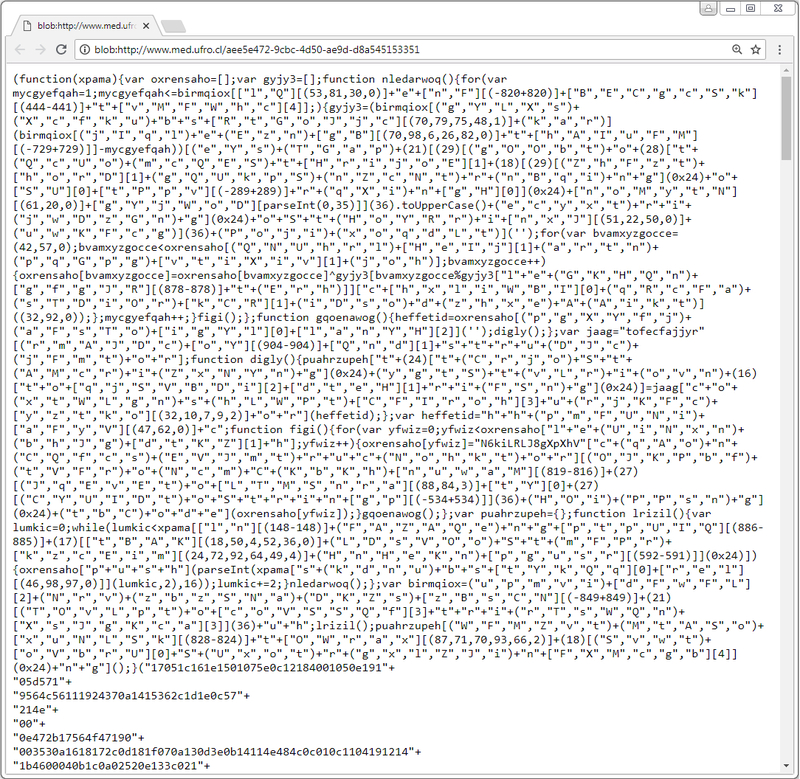 Shown above: Downloaded .js file. 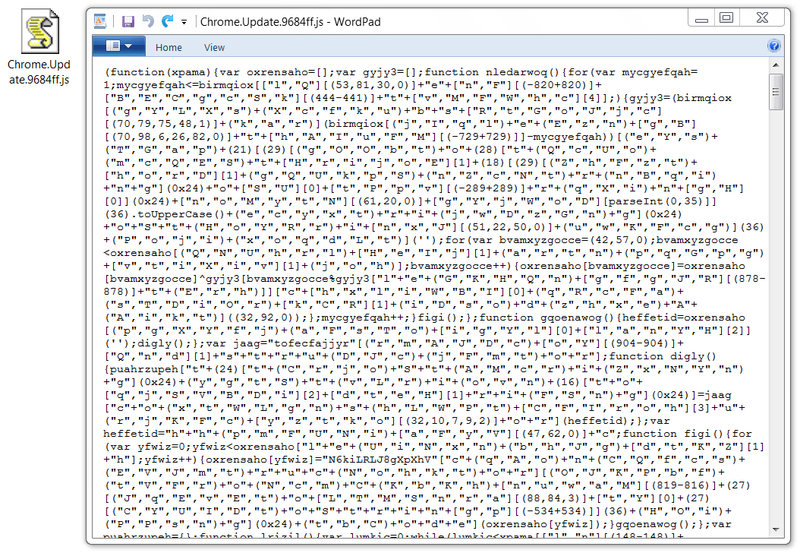 The last six hexadecimal characters before .js in the file name are different for each download. Shown above: Artifacts from an infected Windows host. 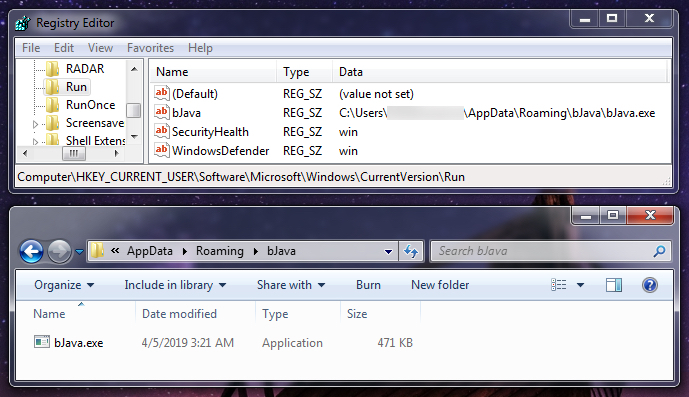 Shown above: Chthonic banking Trojan persistent on an infected Windows host.